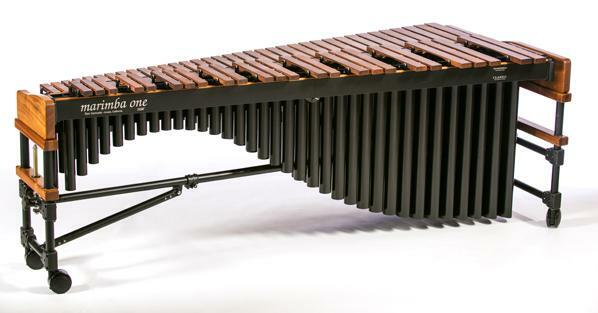 Marimba One recently released a new 3100 series marimba to go along with their existing Soloist and Izzy models. This series is a redesign of the well-known 3000 series, and incorporates many of the upgrades made in the 2015 released Izzy series. The largest difference is the ability to use the new aluminum rail system (wood rails also available) and the way the rails mount onto the end caps. Tweaks to the resonator and bar voicing, along with the improvements to the frame make the 3100 series a great option for anyone considering purchasing a Marimba One Marimba.